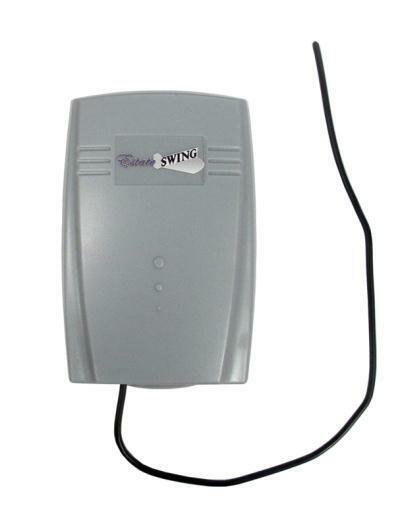 The Estate Swing opener 4 button remote control is considered one of the premium remotes in comparison with current available door and gate openers. 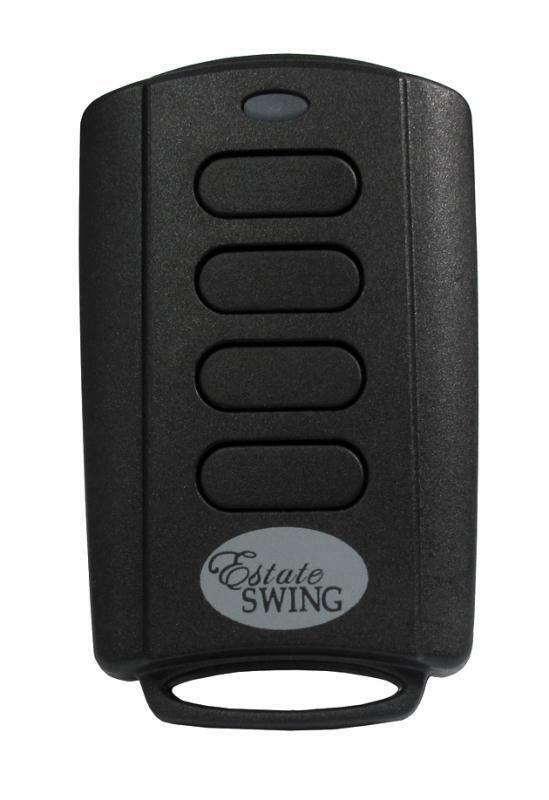 Featuring a range that most of the time exceeds 300 feet, the Estate Swing 4 button remote adds a new level of reliability to your door or pedestrian gate. This remote can be used from your car, motorcycle, pocket, purse and many time even from your house or business if it is within range (NOTE: Always make sure you can see the gate and are aware of anyone near it when activating the gate opener for safety purposes). For the receiver this remote is compatible with there is the possibility to learn up to 400 codes. Each button on this remote sends a unique code. You can learn each button to a different receiver or you can learn all four buttons to the same receiver. Each button learned to the receiver will count as one code used out of the 400 available. Visor Clip: The visor clip is designed to slide onto most sun visors of most model cars or trucks. Key Ring Holder: Remove the clip and add the remote to your key chain for pedestrians. Strong Range: The remote has a range of 300 feet. with a powerful 433 MHz frequency this remote will be very reliable for entry and exit. so line of site is not necessary but helps. Learning code: With the press of a button the new remote is learned into the receiver. No need to match dip switches with old remotes.